In all honesty, I’m not that into professional football. I know, I know, how un-Midwestern of me. In my defense, I’ll gladly watch a Detroit Lions game if it’s on, but I’ll never necessarily go looking for it. The Thanksgiving day Lions game and the Super Bowl are usually the two games I watch per year. I like the Lions because I’m from Michigan, not because they’re good (they’ve never made a Super Bowl). I usually watch the Super Bowl for the halftime show, and (being an advertising major and all) the ads. The 2019 Super Bowl was a controversial one for many reasons, mostly revolving around the Kaepernick controversy, and, honestly, the ads were mostly disappointing to me. I felt like the majority of them were simply “okay.” There wasn’t much witty humor, and most of the ads’ creative concepts were playing it really safe. There were a few ads that I thought were simply not good, and some positive outliers as well. For one of my advertising classes, I wrote about my favorite spots from this year’s Super Bowl. I thought I’d share my thoughts with you all on IIB as well, so here are my 3 favorite ads from this year. This ad did an excellent job at alluding to the divided nature that is inevitably present in the world at the moment without dwelling on it for more than a few brief seconds. It placed an awesome emphasis on universal sentiments that can be felt and experienced across cultures, such as love, gratitude, and fear. Google placed its translation service into a highly relatable context, and I think that this ad was executed with a perfect balance of service placement and focus on the social message of the campaign. This ad aligned with Bumble’s brand positioning extremely well. It featured Serena Williams, a powerful, successful woman, speaking in an empowering way that breaks down an old gender role: that women do not have power over their destiny. It calls out outdated and discriminatory gender roles, and places Bumble as a tool that powerful women use to be successful in different facets of their lives (romantically, professionally, and in terms of their friendships). It’s empowering, and I think it will be extremely efficient in increasing brand awareness. 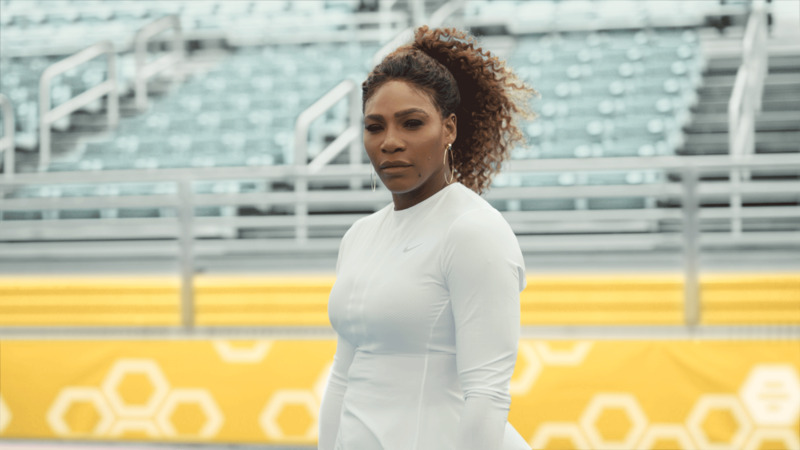 Also, it’s extremely important to celebrate successful women of color in the mainstream media, and placing Serena at the center of this campaign is one awesome way to do that. I was very moved by this ad. It’s emotional nature is something that made it very appealing to me, but may have done the opposite for others. Microsoft is a technology brand that definitely values inclusivity in terms of different ability statuses; this is evident in the fact that the brand has created inclusive products, which is the fundamental way to have a positive social impact. The advertisement also featured a father of a differently abled child crying and the child’s mother was the one who was comforting the father, which I thought was an excellent way to combat toxic masculinity in normalizing men showing raw emotion. This campaign had some excellent social justice themes in the advertisement itself, but I think that the most important thing is that the campaign is emphasizing an inclusive product. What was your favorite ad from this year’s Super Bowl? Comment it below! We stan positivity and representation in advertising!